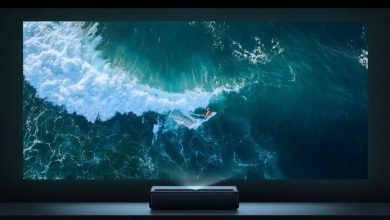 The Xiaomi Mijia laser 150-inch 4K Projection TV was released on January 14th. 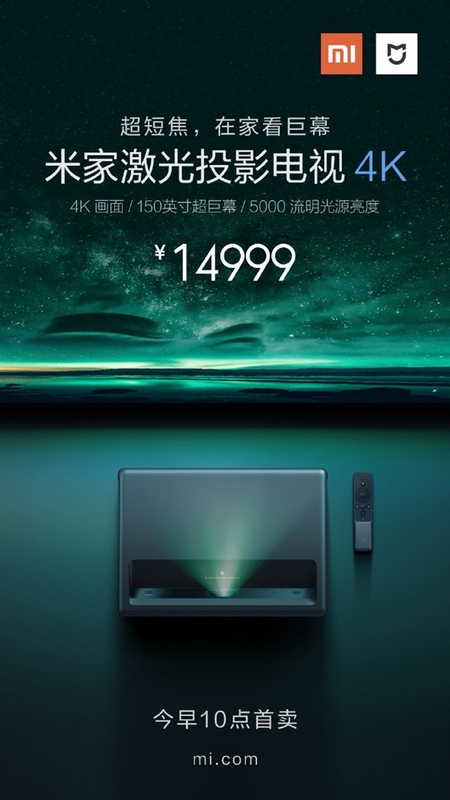 It supports 4K resolution, 5000 lumens light source brightness, can cast a 150-inch super giant screen, supports ultra-short-throw projection with high-fidelity audio and a built-in MIUI TV system. 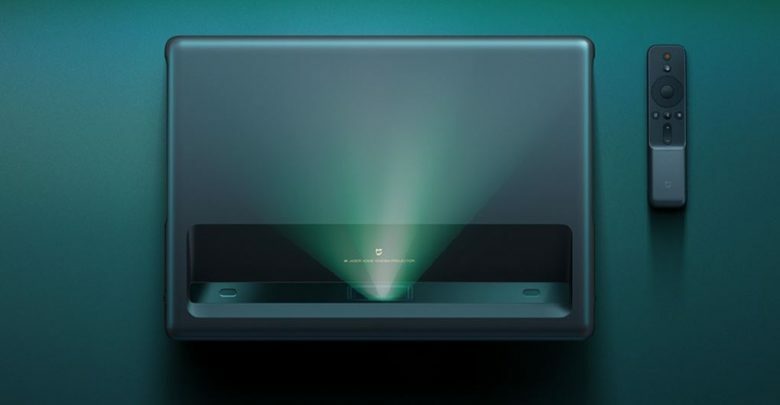 Earlier today, the company announced that this projector has gone on sale for 14,999 yuan. The resolution of the 4K version of the Mijia laser projection TV has reached 4K level, and the contrast ratio of 3000:1 plus HDR10 decoding better supports the rendering of high dynamic range pictures. Moreover, it adopts the new ALPD3.0 laser fluorescence display technology of Guangfeng Optoelectronics, and the proportion of red light is as high as 16-18%, which is in line with the International Telecommunications Union Rec.709 standard, and the color is more abundant. 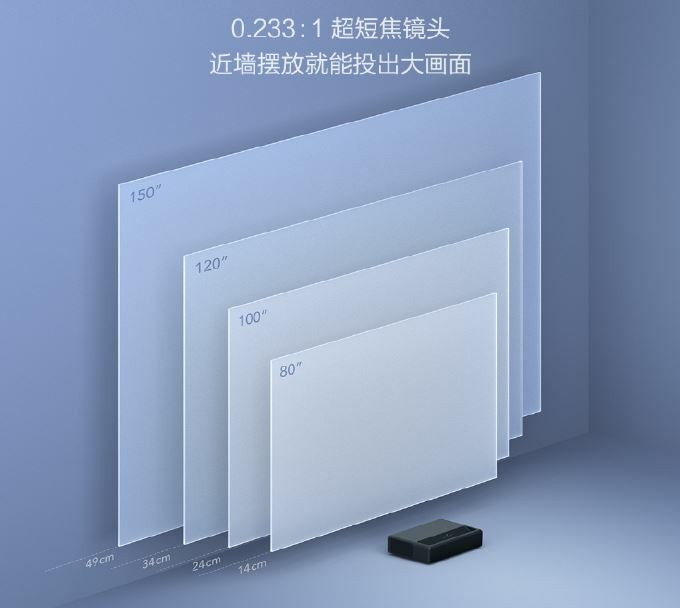 According to the official introduction, the 4K version of Xiaomi Mijia Laser Projection TV can be directly placed in front of the TV cabinet to project a large screen of up to 80-150 inches, redefining your home theater concept. 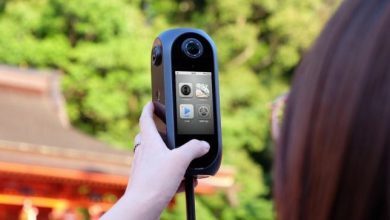 It adopts a 0.233:1 large depth of field ultra-short-focus lens design. The body can project 100-inch large screen with only 24cm from the wall surface. There is no wiring trouble, no space is occupied, and the screen is blocked. At the same time, the 4K version of Mijia Laser Projection TV is equipped with a customized high-fidelity audio system. 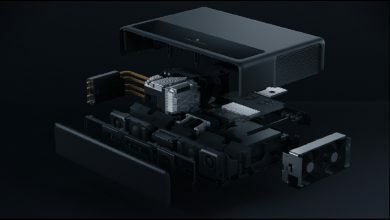 The combination of dual full frequency and dual high frequency brings a wider stereo sound quality, and the unique speaker inverter tube design releases the remaining body. With the powerful Dolby Virtual Surround and vocal enhancement technology, you are completely immersed in the embrace of 3D sound, whether it is intense fighting or drizzle. In addition, Xiaomi Mijia Laser Projection TV 4K version supports AI voice control, press and hold the voice button on the remote control to see what to say. You can also use the small love classmates for voice control, using the same as MIUI TV system. It supports Xiaomi’s massive video resources and with the smart PatchWall puzzle, you can customized content according to your viewing habits. 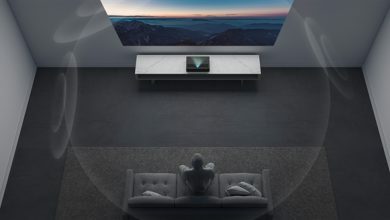 t is worth noting that the official emphasizes that the life of the 4K version of the Mijia laser projection TV has reached 25,000+, and it can be used for about 17 years if its used for 4 hours per day. The Xiaomi WEMAX ONE 7000 Lumens Projector can perform all the functions of the Mijia laser projection 4K TV.